This has to be the easiest, most versatile dish I’ve ever made via the slow cooker. 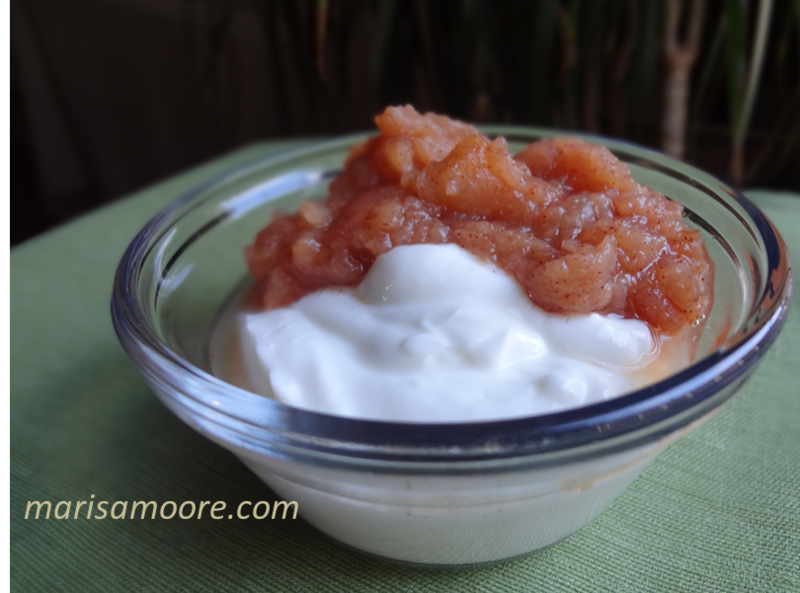 You simply combine apples with cinnamon and turn on the slow cooker. I actually wanted to make this with pears but the Gala apples were pretty and on sale the day I went to the supermarket. Now you may look at the recipe and think I accidentally left out the sugar. Nope. When apples are in season, the flavor will be at peak. So there’s no need for sugar. 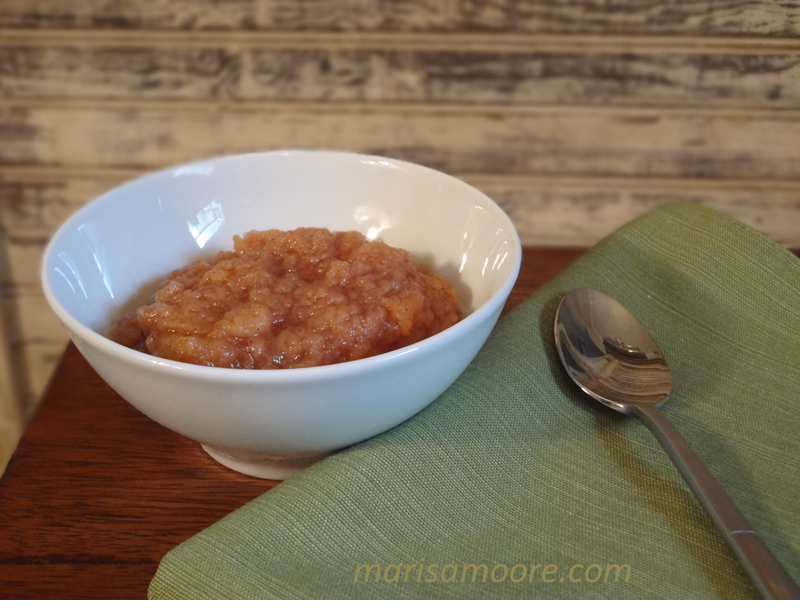 You may be surprised at how the apples cook down to a sweet, aromatic and versatile applesauce. Gala, Jonagold or Cameo are a few sweet apple varieties to try. Peel, slice and cut the apples into large chunks. Add the apples and cinnamon to the slow cooker. Cook on high for 3-4 hours depending on desired texture. 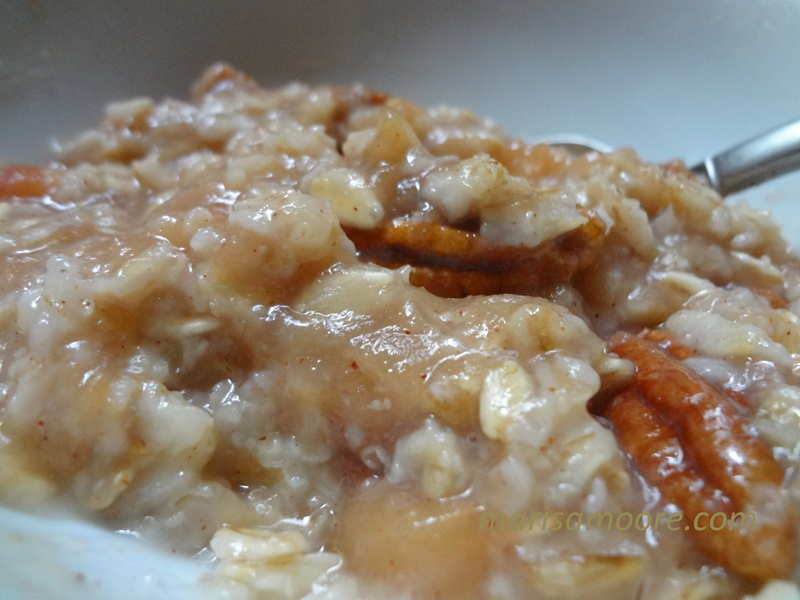 Enjoy as is or on yogurt, in oatmeal or over chicken or pork.